The Congress’ cup of woes keeps running over. On one hand Amit Shah has wooed away former UPA minister Krishna Tirath to the BJP. 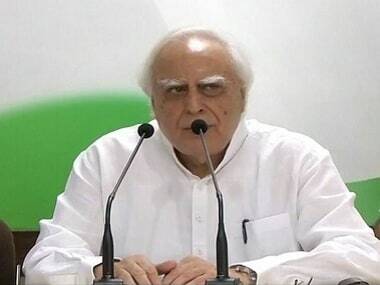 Now Trinamool has hired Kapil Sibal to represent it in the Saradha case in the Supreme Court. Sibal technically is an ex-MP since he lost his elections. But one assumes he’s still a Congressman. But he’s proven that he’s first a lawyer and then a Congressman. Trinamool, of course, is not displeased to find an old hand like Sibal on its side in these dark days when friends are few and far between. A Trinamool minister belonging to the influential Matua community has defected to the BJP already. Trinamool’s former railway minister and Dinesh Trivedi was fired by the party for a railway budget that did not pass his boss’ sniff test. Trivedi was quietly forgiven and even won the last election. Now according to The Telegraph he has been speaking out, sharing the stage with Narendra Modi’s brother and praising the PM while dissing his own party. “TMC has lost a golden opportunity to improve Bengal because of an ego problem,” said Trivedi without specifying whose ego was the problem. In that scenario a little show of support (albeit for a fee presumably) will not be unwelcome in the beleagured party. "There may be a possibility of the Congress and Trinamul again coming together," a Trinamool leader tells The Telegraph. For the Congress however it’s another matter. While the West Bengal Congress is trying to not let the BJP run away with the spoils in the Saradha fight, now they are hamstrung. On one hand the party wants to take swipes at Mamata on Saradha. 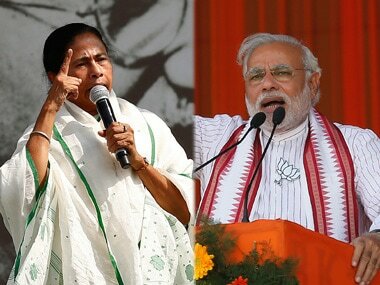 On the other hand one of its own heavyweights is defending her in court much to both the BJP’s glee who want to position the next election as a referendum of those who are opposing Mamata and those who are standing by her. Adhir Chowdhury, the party president has quickly tried to take some pot shots at Sibal himself to try and insulate the party. "It's a bad thing," Chowdhury told NDTV. 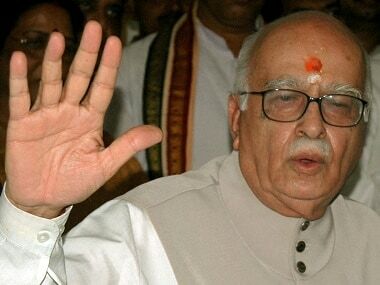 "It is regrettable to have to explain Kapil Sibal's action. He is an overrated professional and underrated political element." The Congress is obviously really annoyed. 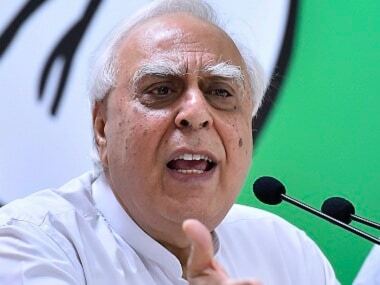 It’s hitting out at both Sibal the politician and Sibal the lawyer. Lawyers of course have always counted themselves above party loyalty in a certain way. Ram Jethmalani, famously, has defended Amit Shah in court and now, at 92, is defending Jayalalithaa adding her to his roster alongside Kanimozhi, Lalu Prasad Yadav, Asaram Bapu, Manu Sharma, the assassins of Rajiv Gandhi and Indira Gandhi. “Ram floats on higher thermals in the Elysian fields where the normal rules of behaviour of mere mortals hardly apply,” senior advocate Anil Dewan told the Hindustan Times. But it’s one thing to defend the accused in sensational murder cases because it is true that everyone deserves a defence. It’s another thing to take on political cases that run counter to the party you belong to as Sibal has done. Politics has always drawn lawyers. The last parliament had according to the Economic Times 75 lawyers in the Lok Sabha and 73 in the Rajya Sabha. "The problem with this government is that it has too many lawyers advising it," Arun Jaitley had said targeting lawyer ministers P. Chidambaram and Kapil Sibal. Of course, Jaitley himself is a lawyer as are his colleagues Sushma Swaraj and Advani. And now the BJP is projecting as its CM in Delhi someone else with a degree in law – Kiran Bedi. But even lawyers are not above the law as A. Raja found out to his chagrin. Politics has always drawn lawyers because some of the skills of argument and debate cut across both professions. But a sitting minister cannot practice as a lawyer. 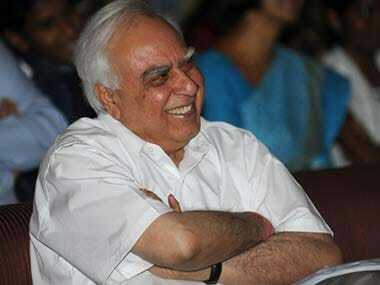 Now that Sibal is no longer one his brief is unconstrained and he can return to the court. But at least Sibal had a real profession to fall back on and can claim that someone wants him. That’s more than can be said for some other Congress politicians who were routed in the last elections.